Clone scripts are software that are readymade and can create state-of-the-art websites. Notably, clone scripts are built taking inspiration from already existing, successful websites. Clone scripts bring with them many advantages. They can help you launch your desired website in a short period of time, they are built by incorporating modern technologies, they are customizable and so on. 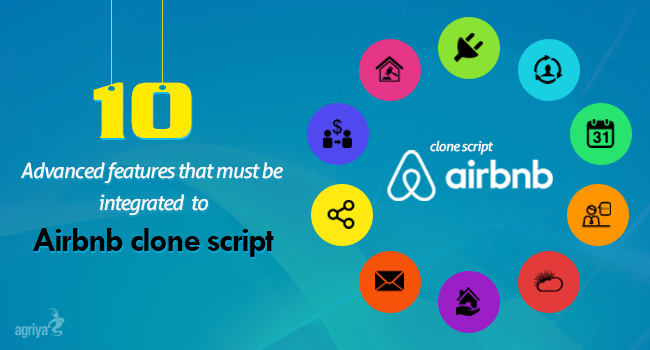 Airbnb clone script has been very much in demand for creating a vacation rental platform. The success of Airbnb has drawn attention towards the online vacation rentals industry. Innovatively, the platform doesn't connect hotels with the travelers. It connects property owners, who own a flat, room, castle, individual homes, etc with that of travelers. Advantages are multiple for both accommodation seekers and property owners. While property owners are at an advantage of making money, which was hitherto mostly impossible, the rent seekers can get a feeling of home away from home during their stay. They can break the monotonous hotel environment. Shifting our focus to entrepreneurs who launch and throw open the vacation rental websites, they have to take special measures when choosing an Airbnb clone. They have to verify if all the major and advanced features are integrated to the script. The script should have the ability so that adding modules to the website if required in the future is easier. In order to enhance the consistency of the platform, the admin should be given room to embed the plugins very easily. The visibility of the website is needed to ensure its success. Affiliates feature incorporated into the script does the job. Any website owner who drives traffic to the vacation rentals platform by joining Affiliate program will be getting a certain percentage of commission. With this feature, not only will the traffic to the site increase but also the revenues. For a smooth payment to be done, presenting of multiple payment gateways is the only option. Having all major gateways integrated to the script is, therefore, essential. Having done, the payments can be done in an hassle-free manner. This feature will not only increase the traffic to the site through increased visibility, but the chances of booking a property can also go up. Rental properties that are available can be shared on social networking sites so that they can be viewed and booked. Language shouldn't be any barrier. With existing technologies, translation module can be activated. Webmasters should be given the freedom to either manually translate the site by embedding the translation files or else use Google translator. Calendar settings as a feature is a must. For booking, one needs to be aware of the date, time, so as to schedule the events accordingly. Convenience to property seekers can be offered with this feature. It is a CDN or a Content Delivery Network. Its role is crucial so as to offer a well-performing site to the users. It improves the website speed and security. This feature is certainly a must. Numerous will be the properties listed after the launch of the website. Admin should be able to manage them efficiently. Factors like approving the property, editing, flagging and suspending should be done by the admin effectively. It is here does the necessity of Properties Management features comes to play. At times, there may be a conflict between the host or the property owner and the traveler. Such issues have to be found a solution. The issue may be with regard to nature, quality of property or payment or any other money issues. Admin, as a third party has to solve the issue impartially. So the feature of Dispute management system has to be part of the script. Notifying users of any specific information should be made possible with the E-mail templates feature. This feature will be necessary for admin to communicate with travelers or property owners. These are some of the must-have features in the chosen script. Apart from them, there is also a bundle of features that have to be integrated. Ensure choosing the best available script.